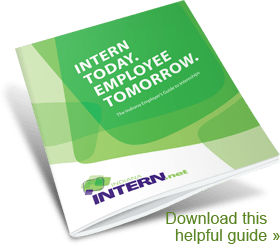 Indiana INTERNnet allows you to post an unlimited number of internships for FREE and connects you with 8347 students. Once your internships are posted, students have the ability to search and apply to those positions. 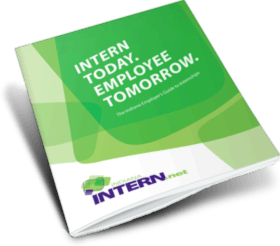 By posting on Indiana INTERNnet, your internships will be shared with our partner colleges and universities. Create an organization account today to post internships and gain access to the advanced intern search, which allows you to search for interns by keyword, school, major, location and more! Once you find a qualified student for your internship, you can message them directly on our site. Interns can accomplish meaningful tasks and backburner projects. Internships can reduce direct recruiting costs. An intern turned employee will already be ahead of the learning curve in understanding your company’s culture. Also, hiring an intern will reduce the chance of making a bad hiring decision because you will already be familiar with your intern’s abilities. Interns can bring unique qualities to the table like tech savviness, objectivity and relevant academic knowledge. Interns serve as great ambassadors of your organization on campus by introducing other students to your company and/or industry. Also, interns may inform friends and family members of the work they are doing at your organization. Allowing an employee to supervise an intern is an effective way to provide management experience. Diverse workplaces possess a variety of experiences, perspectives, values and ideas. And not to mention, hosting an intern is a rewarding experience. It is a great way to give back to your community because your company contributes to an intern’s personal and professional development while helping to retain talent in Indiana. Indiana INTERNnet partners with the Indiana Commission for Higher Education (CHE) to facilitate its Employment Aid Readiness Network (EARN) Indiana program. EARN Indiana reimburses employers with an approved internship up to 50 percent of each eligible intern’s wage.